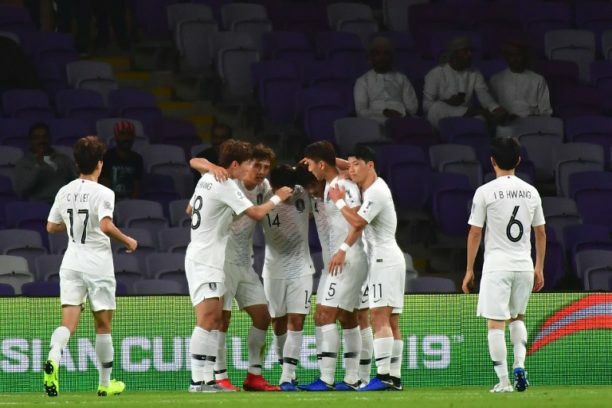 South Korean football officials have presented the children of four dead players with gold medals in what is being seen as an attempt to lift a supposed curse on the team at the Asian Cup. The Taeguk Warriors are an Asian footballing powerhouse, making nine consecutive appearances at the World Cup since 1986, reaching the semi-finals in 2002, and taking bronze at the 2012 London Olympics. But they have not lifted the Asian Cup since winning its first two editions in 1956 and 1960. They have qualified from the group stage at the current tournament in Qatar, and face China on Wednesday to decide who will top Group C, boosted by the arrival of talismanic Tottenham Hotspurs striker Son Heung-min. Among some superstitious South Koreans, the title drought is blamed on fake gold medals the Korean Football Association handed their players to celebrate the 1960 victory. The decorations turned out to be gold-plated lead — many believe a corrupt official pocketed the money earmarked for the precious metal — and South Korea’s hopes of winning the tournament have gone down like a lead balloon ever since. “The gold medals we received were fake,” Park Kyung-hwa, a former footballer with the 1960 national team, told Yonhap news agency. “They were coated with cheap gold, and the coating peeled off easily,” he added. The outraged players returned the fake medals and demanded the KFA present them real ones, but have had to wait for more than 50 years to receive them. In 2014, the KFA finally made pure gold medals for the 1960 team, but could only contact three surviving footballers and family members of three more who had died. The following year the national team reached the Asian Cup final for the first time since 1988, but lost 2-1 to Australia in extra time. “Giving back six gold medals wasn’t apparently powerful enough to fully break the curse,” Yonhap said, adding the KFA was “hoping” for “more power” to lift the spell. Despite living in one of the world’s most technologically advanced countries, many Koreans remain superstitious and consult shamans for medical reasons, divination or just personal advice. Widely held beliefs include associating the number four with death and that writing your name in red ink will bring bad luck, while a dream featuring pigs will invoke wealth. A day before the current tournament opened, relatives of four more deceased 1960 players were presented with pure gold medals at the KFA headquarters in Seoul. A KFA official denied the timing of the ceremony was linked to the curse, insisting to AFP that the project was a work in progress. “It happened a long time ago so it’s quite a challenge to locate the family members of the players,” he said. But the families at the ceremony hoped it would inspire the current team. 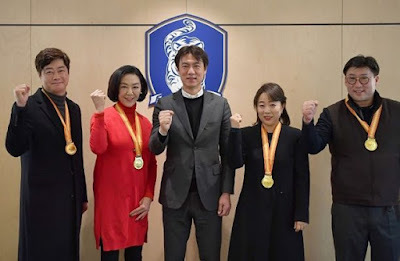 Kim Hwa-soon, daughter of defender Kim Hong-bok — and an Olympic basketball silver medallist in her own right — said her father had never told her about the fake gold medals. “Although he didn’t speak about it, I’m sure he felt sad at the time.” “I really hope the players can win this year’s Asian Cup,” she added. “I’m sure my father wants to see it too.” But if Paulo Bento’s South Korea fail on Wednesday to beat China, coached by World Cup winner Marcello Lippi, they will face a harder route to the final in Qatar — and eight members of the 1960 squad have yet to receive their rightful prizes.